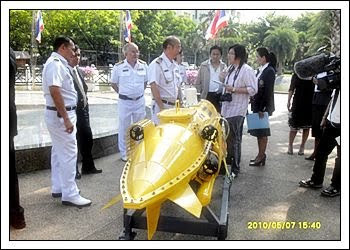 Royal Thai Navy and Kasetsart University Thailand enter into an agreement for reseacrh of unmanned underwater vehicle (UUV). 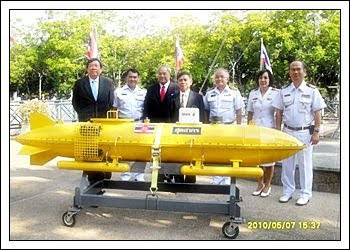 Thailand Navy needs to have the underwater vehicle for use in sonar training and to identify the enemy submarine. 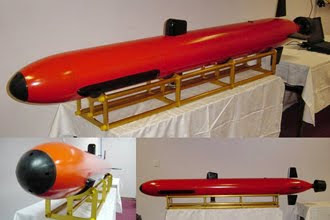 The UUV has 0.45 meter in width, 3.10 meter in length, and 0.40 meter in height. The data and parameters obtained from this study will be applied in designing and building an automatic control system for a next generation of this vehicle. The study has used the The study has used the theory of dynamics and the mechanics of fluid, including a numerical and an experimental technique. Keragu-raguan bahwa Vietnam telah menerima dua sistem K-300P terjawab sudah. Foto-foto ini menunjukkan pengiriman rudal pertahanan pantai tersebut ke Vietnam. Vietnam membeli sistem rudal ini dari Rusia dan Vietnam merupakan negara pertama di luar Rusia yang membeli system persenjataan ini. K-300P Bastion merupakan rudal anti kapal yang diluncurkan dari darat dengan platform truk. Rudal yang digunakan adalah K-310 Yakhont bertenaga ramjet dan berdaya jelajah 300 km. Russia's NPO Mashinostroenia scientific and production association and its Russian and Belarus partners have begun deliveries of the K300P Bastion-P mobile coastal defence missile system, the company has confirmed to Jane's. 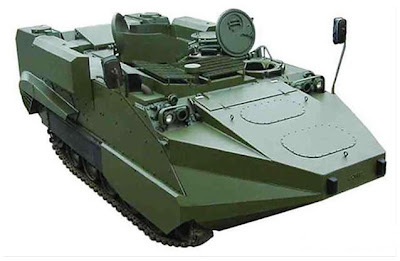 According the reports in Russian press, the first customer is the Vietnam, which ordered one or two Bastion-P systems in 2005. The PBRK (Podvizhniy beregovoy raketniy complex) K300P Bastion-P mobile coastal defence missile system is armed with the K310 Yakhot ramjet-powered supersonic sea-skimming cruise missiles. 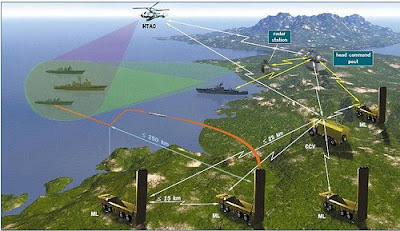 It is intended for use against sea-surface and land targets and has a maximum range of 300 km. A basic system consists of four K340P SPU (Samokhodnaya puskovaya ustanovka) self-propelled launch vehicles armed with two TPS (Transportno-puskovoy stakan) transport/launch containers, one or two K380P MBU (Mashina boyevovo upravleniya) combat-control vehicles, an MOBD (Mashina obespecseniya boyevovo dezhurstva) combat-readiness assignment vehicle, and four K342P TZM (Transportno-zaryazhayuschaya mashina) missile-transport/loading vehicles. Support hardware includes KSTO (Kompleks sredstv technicseskovo obsluzhivaniya) servicing equipment and the UTS (Ucsebno-trenirovocsniye sredstva) training system. The number of launchers, reload vehicles and combat-control vehicles depends on the customer. 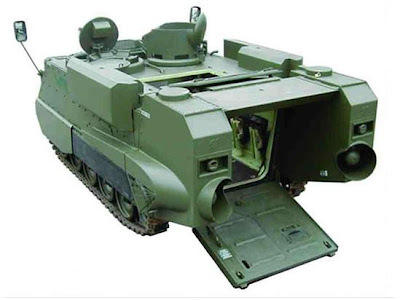 Optional equipment includes a Monolit-B self-propelled coastal radar targeting system or a helicopter-based radar targeting system. For the latter role, the team has proposed the 1K130E: a Ka-31 helicopter fitted with an Oko decimetre-wavelength radar. NPO Mashinostroenia developed the missile and the system software. It also serves as the system integrator. 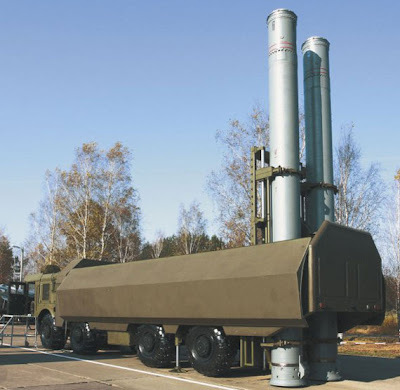 The missiles are being built by the PO Strela production association in Orenburg, Russia, while Belarus-based Tekhnosoyuzproekt is jointly responsible along with NPO Mashinostroenia for the development and production of the SPU self-propelled launcher and TZM transport/loading vehicles. The TPS container is 8.90m long, 71 cm in diamater, and weighs 3,900 kg when loaded. A solid-propellant SRS (Startovo-razgonnaya stupen) starting and boosting stage is fitted inside the ramjet chamber and air-flow duct. This incorporates a gas-powered stabilisation system and at the rearward rearward end terminates in a series of rocket nozzles. A cylindrical nose cover contains a series of small thrusters that are selectively fired after launch to turn the missile in the required direction of flight. Total length of the missile, nose cone and control bloc is roughly 8.6 m. The fuselage is 67 cm in diameter, its wings and aerodynamic control surfaces being folded to allow storage in the TPS. 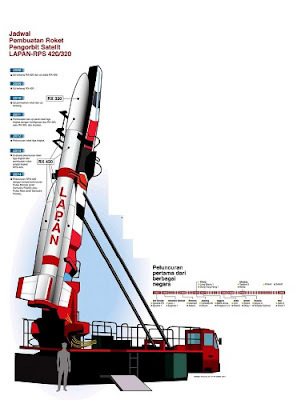 Its launch weight is 3,000 kg. As the missile leaves the TPS, its aerodynamic surfaces unfold. After the turnover manoeuvre has been completed, the nose cover is jettisoned, opening the nose-mounted air intake. At this point the missile is still being powered and stabilised by the SRS. Once the missile has reached ramjet-operating speed, the SRS and its associated gas-powered stabilisation system is ejected, allowing the T-6 kerosine-powered ramjet to light up. In its free-flight configuration, the missile is approximately 8.10 m long. Its wing span is around 1.25 m and control surfaces span about 96 cm. The warhead weight is 200 kg. Two basic flight modes are available: a low-level trajectory that gives a maximum range of 120 km or combined (hi-lo) trajectory with maximum range up to 300 km. In the latter mode, the missiles flies at an altitude of up to 46,000 ft, then descends to 30-50 ft for the final attack phase. In low-level mode, the entire flight is made at this low altitude. Maximum speed of the missile at high altitude is 750 m/s, falling to 680 m/s at low level. During the midcourse phase of flight, the missile is guided by the BINS (Bortovaya inertsialno-navigatsionnaya sistema) onboard inertial navigational system. For the attack phase, it relies on a monopulse active/passive radar seeker with a minimum range in active mode of 50 km, which has a search angle of ±45 degrees. 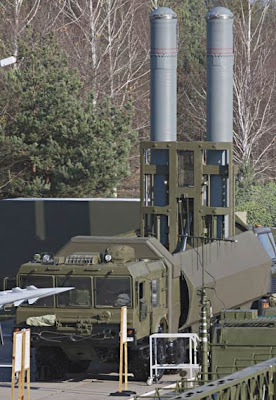 The K340P SPU self-propelled launcher is based on the MZKT-7930 Astrolog four-axle truck chassis. It carries two TPS containers fitted on the frame with a folding and lowering mechanism. Total weight with two loaded TPS containers, fuel, other operating liquids and a crew of three is 41 tonnes. The commander, launch operator and driver are seated in one row in an air-conditioned cab. 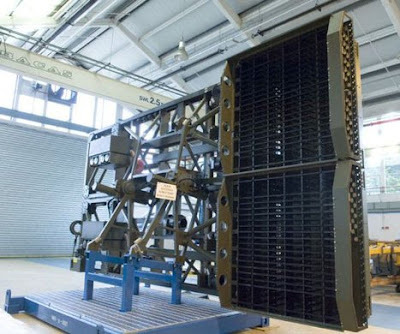 To prepare missile for firing, the covers on the rear of the SPU are opened and a small moveable portion of the frame that carries the TPS containers is folded down to allow the rear of the containers to reach the ground as they are raised to the vertical. Once the containers have been raised, two support jacks located between the third and fourth axle of the vehicle are lowered. Missiles are vertically launched, and the minimum time interval between launches is 2.5 sec. The K342 TZM transporting and loading vehicle is based on the same chassis and carries a crew of two and two TPS containers. It incorporates a 5.9 tonne capacity crane used for loading or reloading the SPU. For the K380 MBU combat-control vehicle, the team opted to install the equipment within an ISO-1C container mounted on an MZKT-65273 three-axle truck. Total weight, complete with fuel and a crew of four, is up to 25 tonnes. It can be deployed for action in three to four minutes. A Bastion battery will be commanded by a main command post module located at the user's naval headquarters. This has two automated workstations and is linked by cable to a radio communication system that can be located up to 5 km away. That radio system will in turn allow communicate with one of more MBU combat control vehicle up to 350 km away. Each MBU will directly control four SPU self-propelled launchers. Individual launchers can be up to 15 km apart and up to 25 km from the MBU. However, NPO Mashinostroenia has confirmed that individual launchers can operate autonomously of the MBU, receiving information directly from the naval headquarters: either via a 40 km range UHF radio link or via satellite communications. Deployment time from being on the road to taking up combat positions is up to five minutes, and a single battery will have eight missiles ready for immediate use. This combat position can be up to 200 km from the coastline. Once deployed, the battery can remain ready for action for between three and five days, depending to the size of its fuel reserves. The TPS missile containers on the SPU launch vehicle are swung to vertical to allow missiles to be fired at 2.5 sec intervals. Tidak banyak kendaraan berkemampuan amfibi yang dapat dioperasikan di laut terbuka dalam operasi pendaratan pantai oleh marinir. 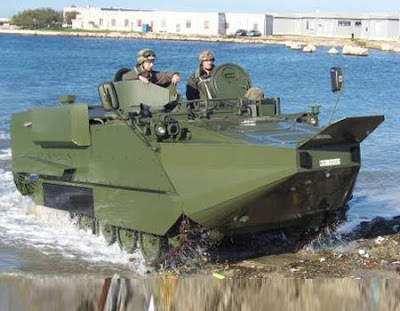 Salah satu diantaranya adalah Arisgator buatan Italia yang merupakan pengembangan lebih lanjut dari M113 yang banyak dimiliki oleh angkatan darat dan marinir Italia. Dalam ulasannya Jane’s (16-Oct-09) menyebutkan bahwa perusahaan Italia ARIS SpA (Applicazioni Rielaborazioni Impianti Speciali) telah mengembangkan perangkat khusus untuk meningkatkan kemampuan amfibi kendaraan lapis baja pengangkut personil (APC) M113. Prototipe pertama dari kendaraan ini, yang disebut Arisgator selesai pada tahun 1997. 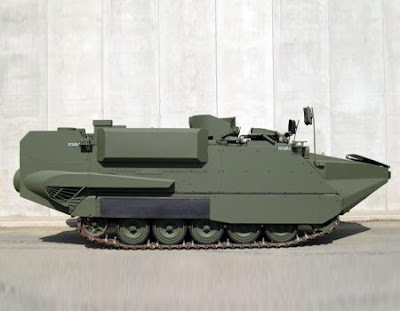 M113 APC (buatan BAE Systems standar/US Combat Systems) seri standar sudah berkemampuan amfibi, propellernya mampu mendorong kendaraan di air dengan kecepatan maksimum 5,8 km/jam, cukup untuk operasi di air dengan arus yang tenang. 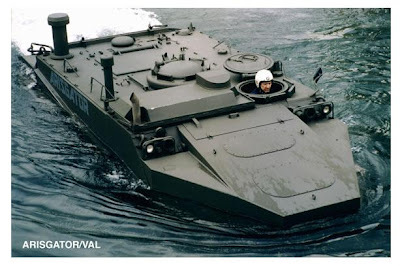 M113 tidak dirancang untuk beroperasi di sungai yang arusnya deras ataupun diluncurkan dari kapal pendarat di lepas pantai. Untuk meningkatkan kemampuan amfibi dari M113, perangkat khusus telah dikembangkan oleh ARIS yang memungkinkan kendaraan untuk beroperasi dengan aman pada operasi pendaratan dari kapal ke pantai serta di sungai. Perangkat tersebut beratnya antara 1.350-1.700 kg termasuk haluan, atap, dan buritan, yang semuanya terbuat dari light alloy seperti pada bodi M113 aslinya Haluan depan telah ditambahkan untuk meningkatkan daya apung kendaraan dan dua unit buritan dipasang pada kedua sisi pintu belakang. Setiap buritan dilengkapi baling-baling yang dioperasikan secara hidrostatik dan dapat digerakkan secara independen, yang memungkinkan Arisgator untuk berputar pada porosnya saat mengapung. Snorkel terpasang di atap Arisgator yang memungkinkan mesin dan personel memperoleh sirkulasi udara selama beroperasi di air. Perpanjangan knalpot telah dipasang di sisi kanan atap dan sistem penutup khusus telah dipasang pada inlet/outlet saluran udara (pada M113 asli) hingga ke sebelah kanan posisi pengemudi. Kubah komandan di atap dan lubang palka persegi untuk pasukan di belakang tetap dipertahankan, demikian juga terhadap pintu belakang. Perubahan yang dilakukan juga membuat M113 kedap air keseluruhannya. Arisgator aman digunakan di laut terbuka, bahkan dalam kondisi yang cukup berat. Yang tidak kalah pentingnya kendaraan ini juga mempunyai kemampuan di darat yang sama dengan kendaraan aslinya yaitu M113. Kemampuan bermanuver sangat mudah dalam pengendaraan, juga dapat berputar di sekitar sumbu vertikal, menunjukkan profil yang rendah di atas air, dapat dengan mudah diluncurkan, balik kembali dan disimpan oleh kapal LPD. Kendaraan dapat beroperasi dalam misi khusus yang berdiri sendiri atau pendukung kendaraan amfibi lainnya. Untuk penggunaan di darat, Arisgator mampu dipacu hingga 60km/h dan menempuh jarak > 500km. Fungsi lainnya tidak jauh berbeda dengan M113 sehingga Arisgator tidak hanya berfungsi sebagai kendaraan pendarat saja namun dapat melakukan penetrasi jauh dari pantai. Sesuai dengan kendaraan aslinya, berbagai macam aksesoris khusus baik dalam bidang persenjataan dan perlindungan serta semua peralatan di dalam kendaraan yang ada di pasaran dapat dipasang pada Arisgator. Kendaraan standar mempunyai turret untuk 12,7 HMG atau 40 mm AGL dengan remote control, ballistic computer, dan peralatan sensors lainnya (video-camera, night vision system, laser range-finder, dll.) Proteksi kendaraan mampu menahan tembakan 7,62 mm AP (armour piercing) pada jarak lurus 30 m.
Arisgator adalah solusi yang menawarkan efektivitas biaya dengan rasio tinggi untuk angkatan bersenjata yang membutuhkan kendaraan pendarat amfibi dengan kemampuan tinggi dalam bermanuver, cocok untuk penggunaan khusus dengan biaya perawatan yang rendah. Perkiraan biayanya adalah seperlima dari AAV7 namun setara dalam hal penggunaan. 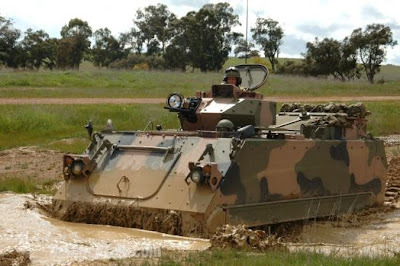 The Department of Defence (DoD) has dispatched a request for information (RFI) in support of its requirement to procure a range of vehicles intended to deliver the Australian Army's future combat capability. A solicitation document for Project Land 400, which is valued at between $1 billion and $1.5 billion, was issued by the DoD on 5 May and states that interested parties must respond before 7 June. In his accompanying letter to potential respondents, BRIG Mal Rerden, who is DG Land Development, says that, commencing with Phase 2A, the Land 400 Combined Arms Fighting System project aims to replace this country's existing combat vehicle fleets. 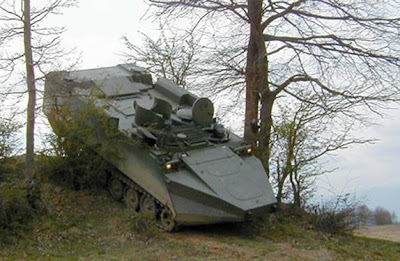 The acquired future combat vehicle system is expected to comprise differing variants and undergo a phased procurement over the life of the project. Land 400 will replace and enhance those combat systems currently enabled by M113, ASLAV and Bushmaster (life-of-type around 2020) in order to meet the challenges posed by the 2020+ environment. Land 400 will be central to the future Army's ability to manoeuvre to detect and defeat threats by stand-off attack and/or by close combat, operating within complex environments, while ensuring survivability of own forces. Land 400 will pursue a ‘system of systems', rather than a platform replacement, approach to deliver the Army's future combat capability. The information received as a result of the RFI from various industry sources, from a system, platform and sub-system perspective, will allow Land Development Branch to undertake detailed analysis to support more informed decision-making on capability, cost and schedule. This input will form the basis of the First Pass Business Case to be considered by Government in 2012. This RFI wants specific pricing but indicates neither quantities nor an operational context and is a far cry from its 2006 predecessor. Airbus Military has begun bench testing systems for a signals intelligence variant of the A320, as part of a drive to expand its offering of military derivatives of Airbus commercial platforms. Equipment is being tested at one of the company's facilities near Madrid under a self-funded feasibility study, says Miguel-Angel Morell, senior vice-president engineering and technology. He confirms that applications being tested "are electronic, communications and signals intelligence". Senior vice-president commercial Antonio Rodriguez-Barberán says: "We have initiated preliminary conversations with some potential customers with regard to an application of this type. We will do this with the same philosophy as our other platforms: we are there to win." Previous efforts to offer a development of the A321 for NATO's alliance ground surveillance requirement and an A319-based maritime patrol aircraft to the Indian navy failed to secure production orders. Meanwhile, Airbus expects to receive military certification for its A330-based multirole tanker transport in July, clearing the way for the type (below) to enter delayed service with launch customer the Royal Australian Air Force before the end of the year. Canberra's first two of five renamed KC-30As have transferred more than 250t of fuel during development and certification testing, says A330 MRTT chief test pilot Eduardo Cuadrado García. The army's inspection panel is expected to approve the delivery of a controversial airship even though it has failed its standard flight test, an army source says. The airship inspection committee is expected to eventually approve the 350 million baht airship's delivery, the source said, despite the fact it cannot fly high enough to avoid ground fire. The third flight test of the US-made Aero 40D airship showed it had a maximum ceiling of 3,100 feet. This was within the range of an M16 rifle fired from the ground, the source said. The airship was supposed to be able to fly above 3,280 feet, or 1km above the ground, which would make it safe from ground rifle attack. The airship is intended for aerial patrols over the lower South. The latest flight test was carried out yesterday at the Bo Thong airstrip at the 15th Infantry Regiment in Pattani's Nong Chik district, where it has been kept during the inspection. "The committee will in the end have to accept the airship delivery," the source said. The airship deal was expected to be sealed before army chief Anupong Paojinda retires at the end of September. He has defended the purchase despite criticism over its cost, and whether the airship will be of any use. The inspection committee is made up of three lieutenant colonels from the Department of Army Transportation. There would, however, be more tests before the committee announces its final decision on the craft's delivery, the source said. The tests will be aimed at proving if the cameras mounted on three helicopters supporting the airship would work both night and day. Tests will also be carried out to see if the cameras can capture pictures at different angles and whether broadcasting signals to the airship and a number of ground control centres can be synchronised in real time. The airship also needs costly helium refills, the source said. The cost of a helium refill ranges from 170,000 baht to 2.5 million baht. 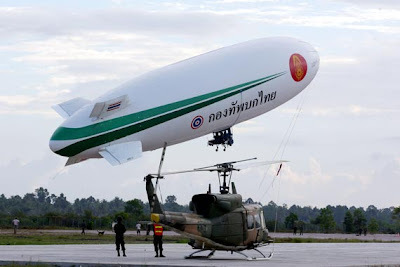 The cabinet in March last year gave the army its approval in principle to buy the airship for about 350 million baht. The craft was to have been delivered last August. The handover has been delayed repeatedly because of problems in fulfilling the purchase contract on the part of the supplier. JAKARTA (SI) – Indonesia menawarkan kapal perang produksi PT PAL Surabaya untuk memperkuat Angkatan Bersenjata Republik Demokratik Timor Leste. Penawaran tersebut diungkapkan Panglima TNI Jenderal TNI Djoko Santoso kepada Panglima AB Timor Leste Mayjen Taur Matan Ruak di Mabes TNI Cilangkap, Rabu (26/5) lalu. “Panglima meminta Timor Leste mempertimbangkan pengadaan alat utama sistem persenjataan khususnya kapal perang dari produksi PT PAL Indonesia,” ujar Kepala Pusat Penerangan TNI Mayjen TNI Aslizar Tanjung dalam siaran persnya kepada harian Seputar Indonesia kemarin. WELLINGTON - New Zealand's Defence Force (NZDF) will receive a modest increase to 2.85 billion New Zealand dollars ($1.89 billion) for the 2010-11 fiscal year, up from 2.83 billion New Zealand dollars, but the Ministry of Defence budget will fall to 239 million New Zealand dollars from 325 million the previous year. The Army continues to absorb the largest budget slice at 843 million New Zealand dollars, up from 791 million New Zealand dollars; the Navy receives 673 million New Zealand dollars (634 million the previous year); and the Air Force sees its budget rise from 612 million New Zealand dollars to 643 million. In a statement, Defence Minister Wayne Mapp said, "We have to fund sharply increased depreciation and operating costs. In terms of personnel, the Defence Force is shifting more resources to the front line. Our priority is to ensure the money is spent on the service people who are deployed on operations." Priorities notwithstanding, that portion of the 2010-11 defense budget earmarked for "Operationally deployed forces" has been reduced from 95.6 million New Zealand dollars to 78.4 million. Budget documents detailed key military and Defence Ministry priorities for the coming year. Foremost is completion of the current Defence Review, which was scheduled to be released in March but is now expected in September, with the focus on "how well the NZDF meets the tasks that are expected of it by the Government." ■ Ensuring the NZDF remains effective and responsive so that current operations, both international and domestic, are effective and sustainable. ■ Consolidating and creating new opportunities with Australia in developing complementary military capabilities, particularly in the areas of air transport, response forces for the South Pacific and the defense industry. ■ Effective management of acquisitions by raising the capability of procurement agencies, ensuring that a whole-of-life approach is taken, and looking for solutions that meet reasonable expectations. ■ New resource management methods to ensure that "value for money is evident in and pervades Defence." Mine countermeasures spending also is down, from 26.5 million New Zealand dollars to 24.8 million. 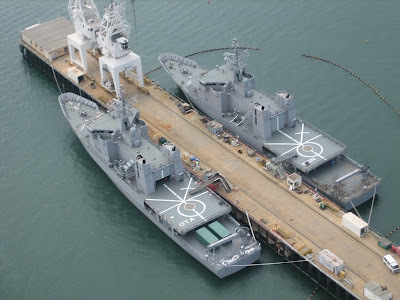 However, funding for both the Navy's Seasprite helicopters and for the Patrol Force - four new inshore patrol vessels and two new offshore patrol vessels - has increased by about 5 percent and 25 percent, respectively. The latter increase reflects the introduction to service of the six new ships in the past year. 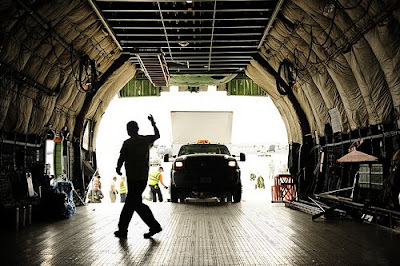 The Air Force P-3K Orions enjoy a slight increase in spending, to 179 million New Zealand dollars, while the fixed-wing transport fleet, including Hercules and 757s, climbs gently from 228 million to 244 million New Zealand dollars. The budget for Special Forces increases too, from 67 million to 71 million New Zealand dollars, although the Security Intelligence Service has had its budget reduced by some 2 million to 36 million New Zealand dollars. Australian manufacturers will be given a chance to win a contract worth more than $1 billion for the manufacture of the next generation of protected mobility vehicles, Greg Combet, Minister for Defence Materiel and Science, announced today. 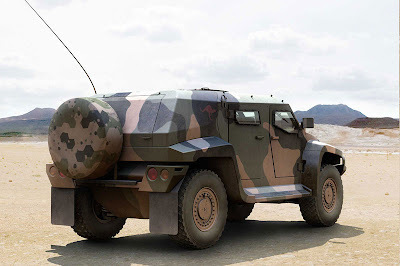 “Three Australian based companies will be awarded up to $9 million each for the development of protected mobility vehicle prototypes, putting them in the running to land a manufacturing contract for up to 1300 vehicles,” Mr Combet said. “I am happy to announce that Thales Australia, Force Protection Europe and General Dynamics Land Systems Australia are the three companies who will be given a shot at this important contract. Mr Combet said that the three companies would be given around six months to produce two test drive ready prototype vehicles each. “The Rudd Government believes that Australia has some of the best defence equipment manufacturers in the world. This decision will mean that they will have a fair chance to compete with other international competitors,” said Mr. Combet. 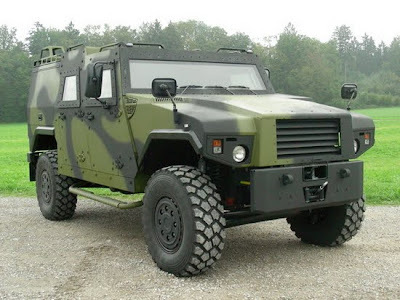 The announcement follows a decision by the Government in 2008 to participate in the current US Joint Light Tactical Vehicle program which is also working on the development of protected mobility vehicle prototypes. “Today’s announcement means that there will be greater competition for this very important contract – an outcome that can only lead to better vehicles and capability for the Australian Defence Force,” said Mr. Combet. “The protected mobility vehicles will play an important role in keeping Australian troops safe in combat roles, including command, liaison and light battlefield resupply. Thales Australia has facilities in Bendigo, Victoria. General Dynamics Land Systems Australia has facilities in the suburbs of Adelaide in South Australia. Bandar Seri Begawan, Kompas - Untuk mengeratkan hubungan baik yang sudah terjalin selama ini, dan memahami kebutuhan Indonesia, Brunei menghibahkan dua kapal patroli kepada TNI AL. Brunei juga menyatakan akan mempertimbangkan pembelian produk industri pertahanan Indonesia, seperti pesawat patroli dan senapan serbu. Hal itu disepakati dalam kunjungan kerja Wakil Menteri Pertahanan RI Sjafrie Sjamsoeddin ke negara tetangga ASEAN di ujung utara Borneo ini, 24-25 Mei. Sjafrie menandatangani kesepakatan di atas bersama mitranya, Wakil Menteri Pertahanan Brunei Pehin Mohammad Yasmin Umar, di ibu kota Bandar Seri Begawan. Dua kapal patroli yang dihibahkan Brunei merupakan Kelas Waspada, yakni KDB (Kapal Diraja Brunei) Waspada dan KDB Pejuang. Kapal yang dibuat oleh galangan Vosper Thornycroft Singapura tahun 1978-1979 ini dikategorikan sebagai kapal patroli berpeluru kendali. Memiliki bobot 210 ton, KDB Waspada memiliki dua tabung peluncur rudal antikapal Exocet MM-38, meriam antipesawat 30 mm buatan Oerlikon, dan dua senapan mesin kaliber 7,62 mm yang dimutakhirkan pada 1990-an. ”Kita sekarang perlu mempersiapkan kapan dan bagaimana kedua kapal patroli tersebut dapat dialihkan ke Indonesia,” ungkap Sjafrie ketika membahas cara memindahkan kedua kapal yang masing-masing membutuhkan sekitar 40 awak itu bersama dengan perwira TNI AL yang menyertai lawatannya. Mengomentari hibah Brunei, Wamenhan RI menjelaskan bahwa hal tersebut merupakan wujud ketulusan Brunei dalam menjalin persahabatan dengan RI. Brunei bahkan menyatakan akan mempertimbangkan serius penambahan pesawat patroli CN-235. Hydroid, Inc., the leading manufacturer of Autonomous Underwater Vehicles (AUV), announced today that the Royal New Zealand Navy (RNZN) has recently contracted to buy an additional Hydroid REMUS 100 AUV. This purchase will bring the fleet to four complete systems. 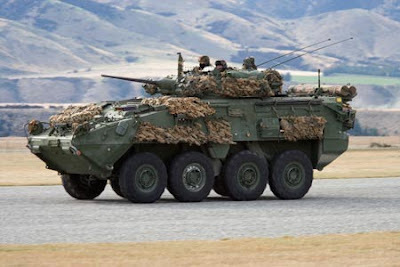 The RNZN purchased two REMUS 100 systems in 2006 and followed up with a third in 2007. Along with the new vehicle, the RNZN has also ordered a number of sensors and upgrades for their existing systems, designed to increase their operational capability. Since entering service, the vehicles have successfully performed a wide range of military and civilian tasks including location of downed aircraft, police and customs operations and military exercises both within New Zealand and overseas. These REMUS systems came into the public eye last year, when New Zealand was asked to assist Tonga, in the location of the ferry, “Princess Ashika”. On August 19th, the vessel sank in open ocean, with the loss of 68 passengers and 4 crew. Following receipt of distress messages, floating wreckage was found by a Royal New Zealand Air Force Orion P3 Maritime Patrol Aircraft. The RNZN REMUS team was flown to Nuko Alofa and taken to the wreckage area by the Tonga Defence Services. The ship was located and identified, lying in 110 meters of water and images were recorded of the vessel and associated debris field. We believe this is likely to be the first time that a sunken vessel, has been successfully located in open ocean, through the rapid deployment of an AUV. The RNZN contract was let to New Zealand Ocean Technology Ltd., (NZOT) Hydroid’s sole representative for New Zealand. NZOT received the Minister of Defence Award of Excellence to Industry 2009, for services associated with Mines Countermeasures, including supply and support of Hydroid’s REMUS 100 systems. At the presentation to Managing Director, Ron Tyson, the Minister stated: “He has delivered some world leading technology, NZ tailored solutions at extremely competitive costs". 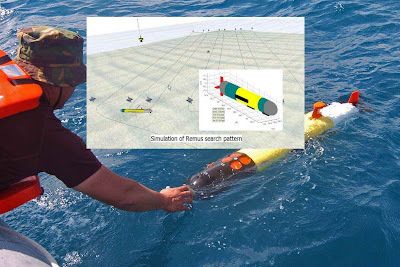 Hydroid Inc. holds the exclusive license from the Woods Hole Oceanographic Institution for the manufacture and further development of the REMUS Autonomous Underwater Vehicle (AUV) technology. In June 2008, Hydroid was acquired by Kongsberg Maritime, and now offers the REMUS and HUGIN family of autonomous vehicles that meet a full range of autonomous needs. Terkait dengan rencana diperpanjangnya usia pakai pesawat F-5 E/F sampai dengan tahun 2020, Dinas Penelitian dan Pengembangan TNI AU (Dislitbangau) melakukan berbagai upaya terobosan agar pesawat tersebut dapat dioperasionalkan secara maksimal. Melihat kondisi kesiapan radar APQ 159 yang berada di pesawat F-5 E/F saat ini sangat menurun karena obselette dan sulitnya mencari suku cadang, dengan demikian dicari solusi untuk mengoptimalkan kembali kemampuan Radar APQ 159. Oleh karena itu, Dislitbangau bekerja sama dengn PT CMI melaksanakan Uji Dinamis Reserve Engineering Radar APQ 159 bagi pesawat F-5 E/F dengan beberapa komponen yang masih banyak di pasaran. Hal tersebut disampaikan oleh Kolonel Lek Teguh Purwo dari Dislitbangau, Bandung. Rabu, (26/5). Lebih lanjut dikatakan bahwa pembuatan (kloning) modul TRx Radar antara lain pada Receiver Modul, UCO Modul (Voltage Control Oscillator), AFC Modul, STC Controller Modul dan modifikasi beberapa modul di High Voltage. “Keuntungan dari program Reverse Engineering bagi pesawat F-5 E/F antara lain dapat mengembalikan kemampuan Radar AN/APQ 159 sesuai spesifikasi dan fungsinya, menambah dukungan kesiapan operasi pesawat F-5 E/F serta efektifitas dan efisiensi dapat dicapai untuk mendukung kesiapan operasional pesawat terbang secara optimal”, lanjut Kolonel Lek Teguh. Brieifing Pagi rutin dihadiri Komandan Lanud Iswahjudi, Kolonel Pnb Ismono Wijayanto, para pejabat Lanud Iswahjudi dan para penerbang sebelum melaksanakan penerbangan di Ruang Rapat Teddy Kustari, Base Ops, Rabu (26/5). 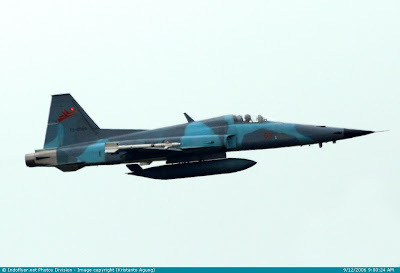 Pada kesempatan tersebut, Komandan Lanud Iswahjudi menyambut baik rencana pimpinan pusat yang akan memperpanjang masa pakai pesawat F-5 E/F hingga tahun 2020, karena hingga saat ini jam terbang pesawat tersebut baru mencapai 6000 jam terbang,. Menurutnya jam terbang tersebut baru separo dari jam terbang maksimal yang ditentukan oleh pabriknya Northop, AS. Oleh karenanya kehadiran staf Dislitbangau bersama PT CMI yang hari ini akan melaksanakan “test flight” disambut baik pula oleh Komandan Lanud Iswahjudi. The Australian Defence Force (ADF) has begun negotiations with Canadian company McDonald Dettweiler and Associates (MDA) to extend the service arrangement under which MDA is supplying the ADF with intelligence, surveillance and reconnaissance capability in Afghanistan. Wing Commander David Riddel, the lead for project Nankeen, told the audience at UV Pacific on 26 May that the government had given approval to begin negotiations to potentially extend the mission out to 6 January 2013. Under the agreement signed last year, MDA is supplying the service using leased IAI Heron UAVs that it, in turn, leases as a service to the ADF on a similar basis to that MDA also has with the Canadian armed forces in Afghanistan. However, while Canada is looking at withdrawing from Afghanistan by the end of the year, the ADF is looking to continue its service with MDA – potentially even looking at the opportunity of taking up the Canadian tasking line. Riddel said that Nankeen showed how effective a rapid, direct acquisition could be outside the normal rigors of Australia's defence capability plan. However, he said that when deciding on the system that it had been essential that the capability was already proven and had the 'minimum level of risk'. The fact that MDA had already deployed the Heron to Kandahar with Canadian forces was, therefore, a significant boon. Riddel said that the ADF had been able to learn lessons from the Canadian experience and that it had been a two way street with Canada keen to fill in some of the gaps left from its rapid acquisition. A key innovation of the Australian contract was the advanced Processing, Exploitation and Dissemination (PED) facility. Although Riddel would not go in to details of the PED it fuses the imagery of the UAV with geospatial imagery for near real time dissemination to ADF and International Security Assistance Force forces. The MDA contract has allowed the ADF to deploy the capability with the minimum personnel including just those needed to operate the UAV and exploit the imagery. All maintenance and support of the Heron is conducted by MDA, which has between 15 and 20 personnel in theatre to support the two tasking lines. Currently the ADF is training for operations in Canada with Canadian forces although Riddel said that he hoped that training could be moved to Australia to better reflect the ADF's operational needs. He concluded by offering up some of the lessons the ADF had learned from the acquisition and the subsequent five months of operations. Riddel stated that stakeholder engagement from the beginning of the acquisition process was key, as was risk management and acceptance. Additionally he said that it was also important to be flexible and allow for the delegation of responsibility. The Ministry of Defence wants to sell up to 35 of the army's 105 light armoured vehicles, it was reported tonight. One News said it had obtained documents under the Official Information Act which showed three LAVs were sent to Kabul to help transport New Zealand's SAS soldiers deployed in the Afghanistan capital but there were no plans to send any more overseas. The report said 35 were likely to be sold, and Defence Minister Wayne Mapp said the army had more than it needed. "There's never been a question that the army needs LAVs - it does - the question is do we need more than about 70 or 80?" he said. Dr Mapp admitted they could be difficult to offload. "There's no doubt specialist military equipment is always difficult to sell so that's a bit of a lesson for the future - you should by and large acquire what you need, rather than more." The previous Labour government paid nearly $680 million for the LAVs in 2003. Green Party MP Keith Locke said there had never been a need for so many LAVs. "It's welcome news that the Government is selling off a third of the LAVs that were very much surplus to requirement - only three have been used since we've had them," he told NZPA. "There's no apparent need to have a large number for places like the Solomon Islands and East Timor where we do peacekeeping and tank-like vehicles are not appropriate if we want to maintain good relations with the local population." Mr Locke said it appeared the army pushed the Labour government into buying 105 LAVs for the sort of combat New Zealand forces were unlikely to be involved in. "It's good that instead of having them hanging around we're selling them off while we can still get something for them," he said. "There was never really a good case for having so many." THE Army has bought over 2,000 units of night vision goggles worth P400 million to enhance its combat operations against militants in Mindanao. Lt. Col. Arnulfo Marcelo Burgos Jr., the Armed Forces spokesman, said Tuesday 920 pieces of the gadget were so far delivered. 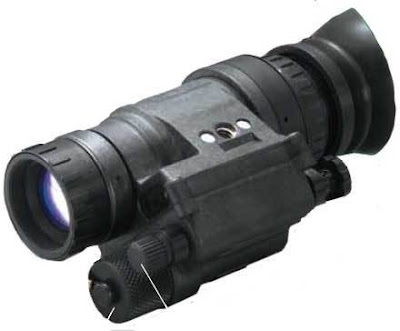 “Each night vision goggle costs more or less P200,000. Our chief of staff, Gen. Delfin Bandit, directed our capability upgrade officers to hasten the delivery of the equipment that would be used by our soldiers in the field for combat operations,” he said. Lt. Col. Ernesto Torres Jr., the Army spokesman, said the 2,351 units of M914A monocular goggles were supplied by Nightline Inc., a US defense contractor. Nightline said in its website that it is owned, and staffed by former military members schooled in night operations and counter insurgency. While the first delivery was made on March 7, the rest of the goggles would arrive in May, Torres said. The Army would get the bulk of the shipment and the Air Force would get 186 units. The night vision goggles could enhance the combat operations of at least three infantry divisions in Mindanao. Bangit said Monday he is now focusing on modernizing the operational capability of the three divisions as one of his top priorities. Burgos declined to specify which infantry divisions, but hinted the recipients would be the regiments of the Special Forces and the Scout Rangers that operate at night. Jakarta, Kompas - Dengan mempertimbangkan faktor keamanan saat peluncuran roket Lembaga Penerbangan dan Antariksa Nasional akan memindahkan tempat peluncuran wahana antariksa tersebut ke Pulau Enggano, Provinsi Bengkulu. Untuk tujuan itu telah ada persetujuan dari pemerintah daerah setempat. Kepala Lapan Adi Sadewo Salatun hari Selasa (25/5) mengatakan, pemindahan itu juga dilatarbelakangi kondisi sekitar lokasi peluncuran yang lama yang berada di daerah Pamengpeuk, Provinsi Jawa Barat. Pamengpeuk kini telah padat menjadi daerah permukiman. ”Pemindahan itu berkaitan dengan rencana Lapan untuk meluncurkan satelit yang berukuran lebih besar, yang memerlukan zona aman atau bebas yang lebih luas,” kata Adi. Pulau Enggano yang terletak di selatan perairan Provinsi Bengkulu relatif lebih aman karena di arah selatan menghadap perairan bebas. Namun, Adi juga melihat ada faktor yang kurang menguntungkan di pulau itu, yaitu aktivitas kegempaan di pulau kecil itu tergolong tinggi. Karena itu, peluncuran roket akan menggunakan kendaraan peluncur roket atau satelit (satellite launch vehicle/SLV). ”Pembuatan roket akan dilakukan di Pusat Pembuatan Roket di Pulau Jawa,” kata Deputi Sains, Pengkajian, dan Informasi Kedirgantaraan Lapan Bambang Tedjasukmana. Untuk transportasi SLV dan roket itu Lapan akan bekerja sama dengan mitra terkait yang memiliki sarana kapal memadai. Adi mengharapkan, lokasi peluncuran roket dari pulau tersebut sudah dapat terlaksana tahun depan. Rencananya, akan diluncurkan roket eksperimen berdiameter 550 mm. Akhir tahun ini direncanakan RX-550 akan menjalani uji statik. Untuk mengarah pada peluncuran roket berkapasitas menengah itu, lanjut Bambang, akan dilakukan peremajaan prasarana yang ada, antara lain, yaitu mesin pembuat bahan bakar roket. Selama ini yang dilakukan hanya sebatas memodifikasi peralatan yang telah usang. Menurut Adi, proses pembuatan bahan bakar roket atau propelan merupakan kunci yang menentukan unjuk kerja roket ketika diluncurkan, terutama terhadap daya dorongnya. The United States is considering a Russian proposal on the joint production of An-124 Condor heavy-lift transport aircraft, a Russian deputy prime minister said. "We have discussed a full-scale project, which includes the joint production of the plane, setting up a joint venture, shared rights, sales to Russian and American customers - both civilian and military - and the creation of a scheme for post-production servicing," Sergei Ivanov told reporters in Washington. 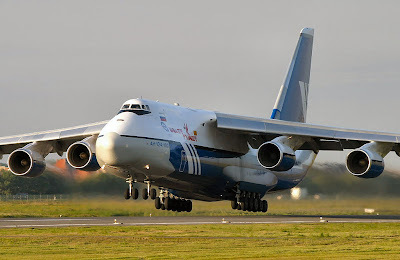 The An-124 is similar to the American Lockheed C-5 Galaxy, but has a 25% larger payload. An-124s have been used extensively by several U.S. companies. Russian cargo company Volga-Dnepr has contracts with Boeing to ship outsize aircraft components to its Everett plant. According to Ivanov, the Pentagon has contracted An-124 planes for military transport purposes until 2016. "The An-124 planes, made during the Soviet era, have been used extensively in the interests of U.S. customers. We are offering a full-scale project, rather than a simple lease," Ivanov said. Russia plans to manufacture a total of 20 An-124 aircraft by 2020 in accordance with the state arms procurement program. KUALA LUMPUR – Tentera Darat (TD) berpuas hati dengan prestasi dan kemampuan peluru berpandu jarak dekat (VSHORAD) jenis lancaran bahu (Manpads) terbaru, FN-6 dalam menangani ancaman pesawat tempur musuh. Bagaimanapun, Panglimanya, Jeneral Datuk Zulkifeli Mohd. Zin enggan mengulas sama ada pasukan itu akan menambah jumlah peluru berpandu buatan China itu atau tidak kerana tegas beliau, sebarang pendedahan mengenainya boleh membawa implikasi kepada pertahanan negara. “Sudah tentu kita sangat berpuas hati dengan prestasi serta kemampuan FN-6 dalam menangani ancaman aras rendah, tetapi kami tidak boleh mendedahkan sama ada bakal berlaku penambahan aset ini atau tidak kerana ia rahsia sulit keselamatan negara,’’ katanya. Beliau berkata demikian ketika diminta mengulas mengenai prestasi kumpulan pertama FN-6 yang baru sahaja memasuki inventori TD selepas menyampaikan perintah ulung pertamanya selaku Panglima TD yang baru di Kem Perdana Sungai Besi di sini hari ini. FN-6 yang kini berada di bawah kendalian Gerup Artileri Pertahanan Udara (GAPU) merupakan peluru berpandu generasi ketiga yang mempunyai kemampuan menyerang pesawat dan helikopter musuh pada jarak enam kilometer serta ketinggian mencecah 3.5 kilometer. Kemasukan FN-6 itu menjadikan GAPU kini memiliki empat variasi sistem VSHORAD berbeza iaitu Igla (Rusia), Anza MKII (Pakistan) dan Starburst (United Kingdom) selain sistem peluru berpandu tercanggih jenis jarak dekat iaitu JERNAS yang kalis penyerakan (diumpan). Bagaimanapun, jumlah kumpulan pertama peluru berpandu itu yang diterima TD terlalu kecil menyebabkan ramai pihak khususnya pemerhati dan penganalisis ketenteraan mendesak supaya jumlah berkenaan ditambah kepada bilangan yang bersesuaian. Dalam pada itu, Zulkifeli memberitahu, segala pemodenan yang dirancang bagi TD khususnya dalam usaha untuk mempertingkatkan kuasa tempur akan dilaksanakan dalam Rancangan Malaysia Ke-10 (RMK-10). Namun tambahnya, walaupun segala pembelian aset baru itu dirancang bagi menggandakan lagi kekuatan tempur TD, ia tetap bergantung kepada kedudukan kewangan kerajaan kerana pemodenan sesebuah angkatan tentera bakal menelan belanja yang bukan sedikit. “Kita akan meneruskan semua pemodenan yang dirancang sesuai dengan pelan pembangunan strategik TD iaitu ‘Army 2 10 plus 10’ dan langkah ini perlu selari dengan kemampuan modal insan. “Namun, ingin saya tegaskan bahawa dengan aset yang ada sekarang sebenarnya TD cukup berkemampuan untuk mempertahankan keselamatan negara ini,’’ katanya tanpa memperincikan apakah bentuk perolehan baru itu. Malaysia has agreed in principle to buy medium-range surface-to-air missiles from China and in return China will transfer its technology in very short-range air defence system to Malaysia. 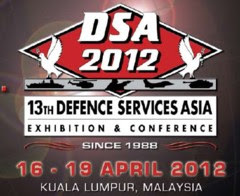 Deputy Prime Minister Najib Tun Razak said the procurement would be made under the 9th Malaysia Plan (2006-2009) as part of the continuing Armed Forces Modernisation Programme. Addressing a news conference yesterday after witnessing the signing of the Memorandum of Understanding on the matter, he said that details of the procurement and offset programme would be finalised later should Malaysia give its full commitment. 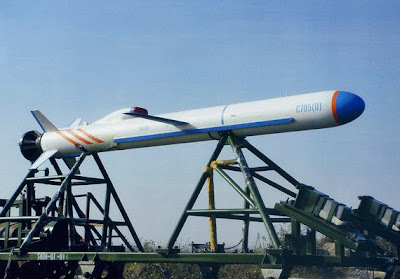 China National Precision Machinery Import and Export Corporation (CPMIEC) is offering the FN-6 very short-range air defence system to Malaysia should the country purchase its KS-1A, the medium-range surface-to-air missiles. The shoulder-launched FN-6 missile has an engagement range of 6km and altitude of 4km while the vehicle-launched KS-1A has an engagement range of 50km and altitude of 27km. The industrial offset programme of the FN-6 offered to Malaysia is inclusive of special test facilities, universal equipment, special tools, manufacturing process documents, training and technical support, and capable of an annual output of 100 FN-6 missiles. The Malaysian Maritime Enforcement Agency (MMEA) plans to buy shipborne unmanned air vehicles to complement its existing maritime patrol operations. MMEA director general Amdan bin Kurish says the agency has spoken to the unmanned systems technology unit of Malaysian government-owned aerospace technology firm CTRM about the matter. It has also talked to privately owned Malaysian technology and engineering firm Sapura Group. Sapura owns Australia's Cyber Technology, a developer and manufacturer of UAVs. 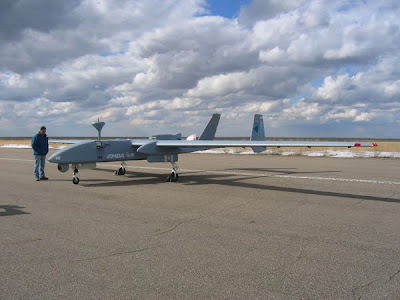 Selex Galileo's vice-president regional marketing Marco Galletto says the Anglo-Italian firm has also presented its Falco UAV to Malaysian authorities, including the MMEA. 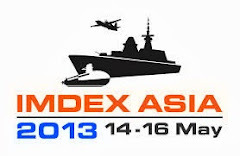 Amdan says the MMEA has briefed UAV firms that it wants shipborne UAVs with a range of 100km (54nm). "We have a limited number of offshore vessels, so we need to have these UAVs to monitor around 100km from the vessel," he says. "We want the UAVs to be launched and controlled from the ship, and a transmission of data that is clear." When asked when the MMEA plans to place an order for such unmanned systems, Amdan says there is no timeframe yet. "Let them come up with the solution," he adds. Besides ships, the MMEA also operates three helicopters and two Bombardier 415 amphibious fixed-wing aircraft. Greg Combet, Minister for Defence Materiel and Science, today welcomed the successful return to service of the Collins Class submarine, HMAS Dechaineux. “The successful return to service of Dechaineux shows efforts to improve material availability of Navy’s submarine force are paying off,” said Mr Combet. HMAS Dechaineux has recently completed its first Full Cycle Docking at the Adelaide yard of its builder, ASC Pty Ltd.
Full Cycle Docking is the major recertification and upgrade docking for the submarines. 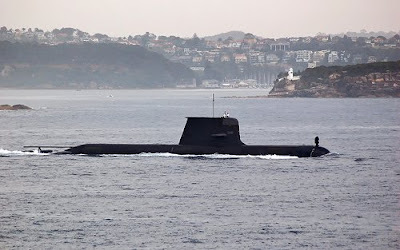 Dechaineux is the fourth submarine to complete this upgrade and arrived today in its home port of Fleet Base West, Western Australia after an intensive sea trials period to prove its systems. “The Government has been working to improve the level of submarine availability. To help provide an increased focus and scrutiny of the submarine sustainment program the Government formed the Australian Submarine Program Office (ASPO) earlier this year. “The return of HMAS Dechaineux is an important step in the improvements Navy, DMO and ASC are making to submarine availability through the ASPO. “I also acknowledge the US Navy’s strong support in the development of capability upgrades for both our submarine forces. “During its full cycle docking Dechaineux was fitted with the BYG-1 combat system and Mark48 Mod7 heavyweight torpedo, the third of the class to receive these upgrades. “This combat system and torpedo have been developed through a highly successful joint program with the United States Navy. The combat and weapon system upgrades, together with an augmented Special Forces deployment capability fitted to Dechaineux in the docking, make it Navy’s most capable submarine.” Mr Combet said. HMAS Dechaineux joins HMAS Waller and HMAS Collins, both currently operating from Fleet Base West. “Submarines are a potent maritime force and they will continue to play a major role in protecting Australia’s maritime interests well into the future,” said Mr Combet. THE Republic of Singapore Navy (RSN) may soon add to its arsenal unmanned underwater vessels that detect and destroy sea mines. The remotely controlled minehunter Meredith, developed here by DSO National Laboratories, is now being tested by the navy. 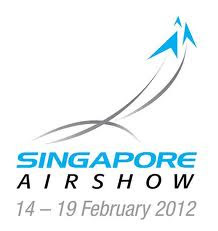 It will be showcased at the Navy Open House at Changi Naval Base on Saturday and Sunday. In an interview ahead of the open house, the Chief of Navy, Rear-Admiral Chew Men Leong, said unmanned systems, a key part of modernising the RSN, can be assigned tasks 'too dangerous and difficult' for servicemen. Having unmanned systems in operation also extends the fighting capability of the navy's ships, he added. The 2.5m-long Meredith can operate at 100m depths for up to five hours and hit speeds of up to six knots. Its battery of electronics can scan the seabed off Singapore, which sits on a sea lane - one of the world's busiest - plied by more than 1,000 vessels daily. 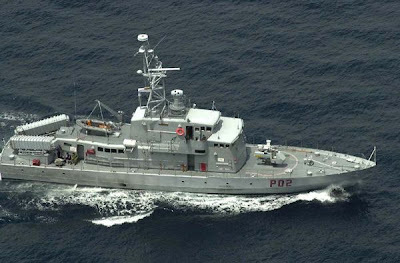 The RSN has two types of unmanned surface vessels, neither of which is a mine hunter: One, the Protector, was deployed in the Arabian Gulf in 2004 and the other, the 7m-long Spartan, has been earmarked for the fight against maritime piracy and terrorism. 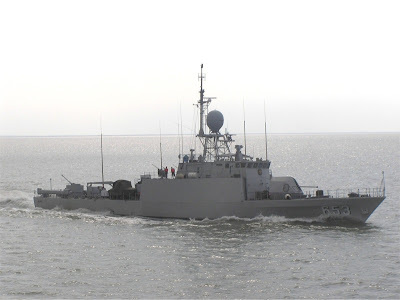 Kitted with anti-armour missiles for offensive action, it enables warships to inspect suspicious vessels. Kuala Lumpur, KLS: Malaysian Air Force tends to buy AIM-9X Block II from the United States to equip its F-18D Hornet squadron. Malaysian Air Force Chief General Rodzali bin Daud said the Royal Malaysian Air Force has plan to procure AIM-9X missile from the United States. He said the procurement deal will be done under Foreign Military Sales and an approval from the U.S Congress is needed. Rodzali told a press conference today that the RMAF will buy AIM-9X Block II. Singapore is the first country in this region has openly announced that will import 200 AIM-9X from Raytheon for its F-15SG fleet in 2008. Malaysia will be the second country. AIM-9X is an improved variant of AIM-9M which can provide the warfighter with the following capabilities: full day/night employment, resistance to countermeasures, extremely high off-boresight acquisition and launch envelopes, greatly enhanced maneuverability and improved target acquisition ranges. With the Joint Helmet-Mounted Cueing System (JHMCS), the AIM-9X allows the F-18D pilot to attack and destroy any airborne enemy with only pointing his head at the target without having to manoeuvre the aircraft. According to industry sources, Malaysia is going to procure 20 AIM-9X Block II, JDAM ammunition and JHMCS in one package under the F-18D upgrade plan. The Congress is principally agreeing to export those assets to Malaysia though an official approval hasn’t been granted. If the deal were inked in near future, the delivery will be made after 2013-14. JAKARTA - Hubungan Indonesia dan Republik Rakyat Tiongkok bakal tambah harmonis. Kemarin (21/5) militer dua negara tersebut sepakat menjalin kerja sama alih teknologi dan ilmu kemiliteran. "Kita menawarkan adanya joint production peralatan senjata. Misalnya, kita tawarkan membuat rudal bersama," ujar Menteri Pertahanan Purnomo Yusgiantoro setelah bertemu dengan Wakil Ketua Komisi Militer Tiongkok Jenderal Guo Boxiong di Jakarta kemarin. Kedatangan orang nomor dua di jajaran militer Tiongkok itu disambut dengan penghormatan militer. Jenderal Guo didampingi Duta Besar Tiongkok Zhang Qi Yue dan sejumlah perwira tinggi militer Tiongkok. "Mereka memiliki teknologi militer yang luar biasa. Kita berharap bisa belajar dan berbagi pengalaman," katanya. Dalam pertemuan tersebut, Jenderal Guo mengatakan, negaranya berencana membuat rudal C-705 untuk pertahanan udara dan laut. 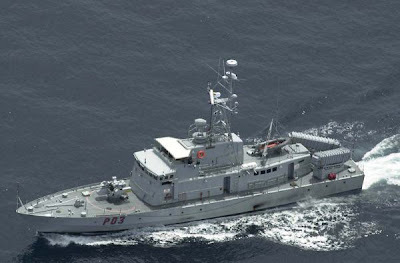 Peluru kendali tersebut merupakan pengembangan dari rudal C-802 yang telah digunakan kapal-kapal perang milik TNI Angkatan Laut. "Akan sangat bagus jika rudal tersebut bisa dibuat bersama oleh teknisi Indonesia," katanya. Indonesia juga menawari militer Negeri Tirai Bambu itu peralatan pendukung non-alutsista. Misalnya, kain seragam, kopel, sepatu, dan baret. "Tentara Tiongkok punya 2,5 juta anggota. Kalau seluruh seragamnya kita yang membuat, itu potensi ekonomi yang sangat besar," terang mantan menteri ESDM tersebut. Dua pejabat itu juga sepakat untuk mengadakan pelatihan bagi perwira-perwira militer Indonesia. Pelatihan tersebut berbentuk sekolah komando, penanggulangan pembajakan di laut, search and rescue (SAR), serta program master dan doktoral di bidang ilmu pertahanan. Tantangan ke depan semakin berat utamanya bagi TNI AU. Sebagai penjaga kedaulatan negara di udara, TNI AU menjadi pemain utama dalam menghadapi setiap upaya inflltrasi, penerbangan gelap, atau upaya-upaya negatif iainnya dari pihak tertentu untuk memanfaatkan wilayah udara Indonesia guna kepentingan tertentu. KSAU Marsekal TNI Imam Sufaat sangat menyadari hal itu, sehingga berbagai upaya dilakukan guna menjadikan TNI AU sebagai first class air force. Setidaknya dengan anggaran Rp 1,3 triliun di tahun ini, Imam berharap kesiapan alutsista bisa naik hingga 63%. Saat COMMANDO mewawancarai alumnus AAU 1977 ini beberapa waktu lalu, terungkap sejumlah rencana yang tengah dimatangkan oleh TNI AU. Seperti soal SDM, kualitas penerbang akan ditingkatkan dengan memaksimalkan alokasi jam terbang yang ada. Kualitas input taruna turut dibidik dengan terus naiknya standar indeks prestasl (IP) calon. Masukan sekolah penerbang (sekbang) juga menunjukkan peningkatan IP dari 2,50 menjadi 2,75. "Mungkin nanti akan 3, sehingga yang menjadi penerbang benar-benar pintar," ujar Imam. Paskhas juga termasuk ke dalam program pengembangan. Jumlah batalion akan ditambah namun tidak diikuti penambahan jumlah personel sehingga nanti sepertinya TNI AU akan melakukan tambal-sulam yang berimbas kepada standar DSPP (Daftar Susunan Personel dan Perlengkapan) di batalion Paskhas. Untuk Paskhas juga belum clear soal pilihan meriam anti pesawat antara Oerlikon dan Defa. Menurut Imam, keberadaan Paskhas harus disesuaikan dengan tugas pokok TNI AU. "Batalionnya tidak harus sebesar angkatan darat, karena Paskhas akan melaksanakan tugas khusus yang khas angkatan udara,” ujar Imam. Selain persoalan di atas, sesungguhnya TNI AU sangat dipusingkan oleh rendahnya kesiapan pesawat yang ada. Apalagi dua tahun terakhir, sejumlah accident yang terjadi membuat jumlah kesiapan alutsista semakin turun. Sementara dari armada yang eksis, diakui KSAU sebagian sudah memasuki masa "uzur" jika dilihat dari tahun pembelian dan teknologi yang digunakan. Karena itu sejumlah rencana digodok Mabes TNI AU untuk mengganti beberapa jenis pesawat. Masuk ke dalam daftar rencana penggantian, pesawat Hawk Mk-53, F-5E/F Tiger ll, OV-10 Bronco, Fokker F27 dan helikopter. Beberapa jenis pesawat yang diminati disebut KSAU. 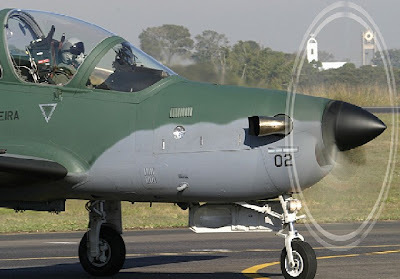 Nama yang selalu disebut-sebut sebagai pengganti OV-10 adalah Embraer EMB 314 Super Tucano. 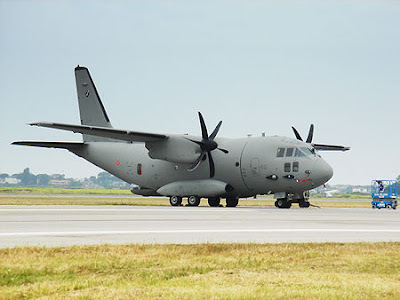 C-27 Spartan turut disinggung sebagai pesawat angkut untuk mengisi kebutuhan di antara C-130 Hercules dan CN-235. Kebanyakan untuk CN-235, namun terlalu sedikit untuk C-130, itulah alasan TNI AU menyebut pesawat sekelas Spartan. Disusul oleh Hawk Mk-53 dan AS-202 Bravo yang dialokasikan di tahun ini dan F-27 pada 2014. 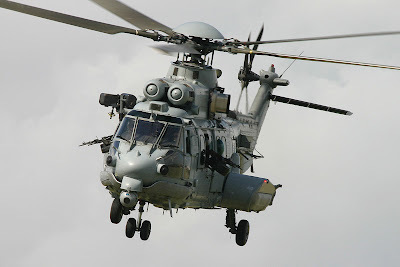 TNI AU juga akan memperoleh tiga radar, helikopter Super Puma untuk melengkapi 16 pesanan TNI AU namun untuk tiga heli terakhir sepertinya akan diganti Cougar, dan tentu melengkapi Hercules mungkin dengan versi terbaru. Satu lagi, AU juga bakal kebagian tiga C -212 - 300 buatan PTDI. 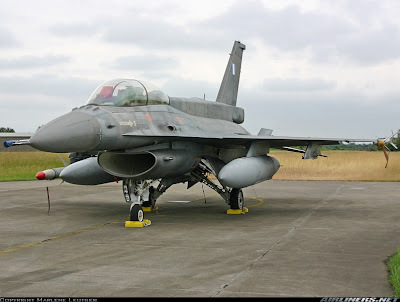 Bagaimana dengan F-5 dan F-16. Rupanya juga sudah dipikirkan. 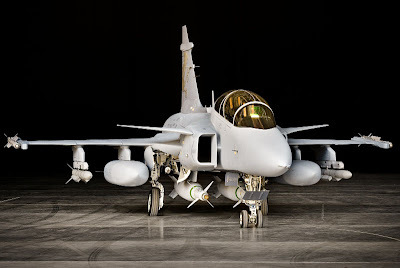 Katanya TNI AU sudah melihat langsung Gripen, atau mungkin F-16 Block 52. Namun dengan low profile, "Harus orang yang pintar yang menentukan. Saya tidak mau nanti disalahkan," kata Imam lagi.